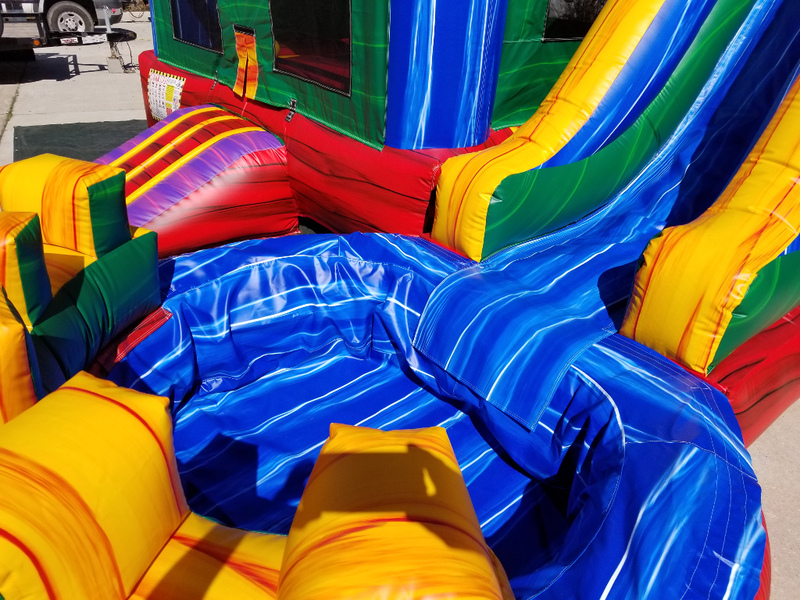 The Fiesta Combo is an amazing eye-catching bounce house featuring a huge slide that can be used wet or dry. For wet use, it has a pool at the bottom for some serious splash zone fun. For dry use, the pool is replaced with a stopper to keep the kids contained. 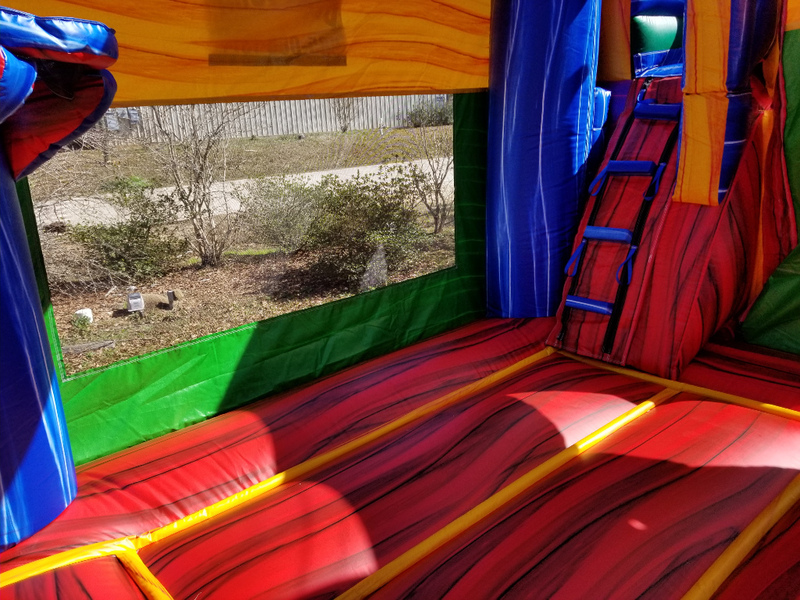 It has a very large bounce area with mesh walls on all sides to contain the kids while keeping the interior cool and well-ventilated. You also get good visibility to watch the kids play from any angle. 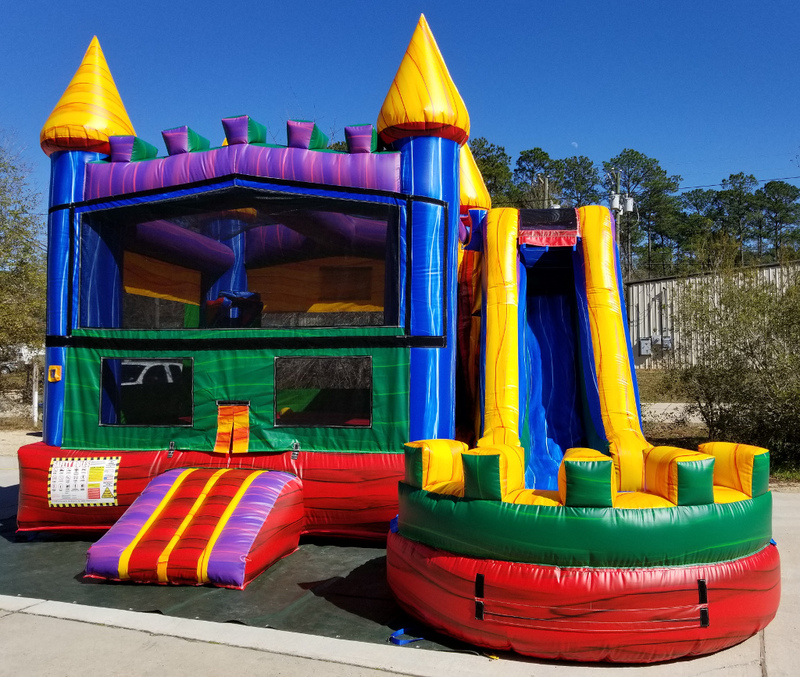 The basketball goal inside is perfect for dunks, jump shots, or just the challenge of shooting baskets from a bouncy surface. The bright color scheme brightens up your party, wows your guests, and looks great in pictures to post on social media. 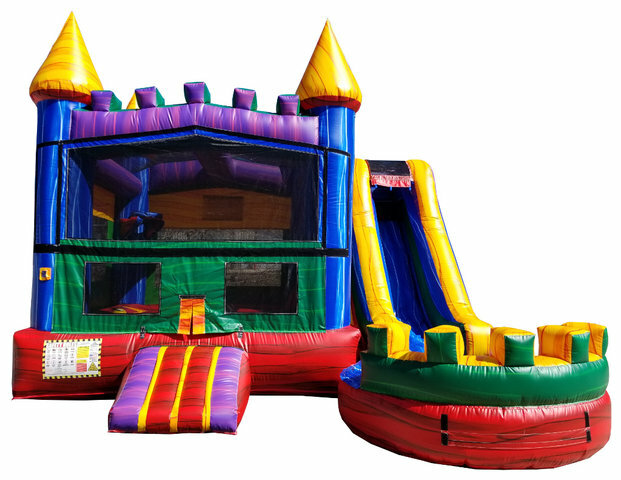 Themes Available: You can add any of our themed banners to the front of this bounce house!